Four bombs detonate outside university campus, shocking students and sending government officials scrambling. Bombings outside Cairo University killed an Egyptian Brigadier-General, the Egyptian interior ministry has said, and also wounded seven bystanders, some of whom were members of security forces outside the institution. 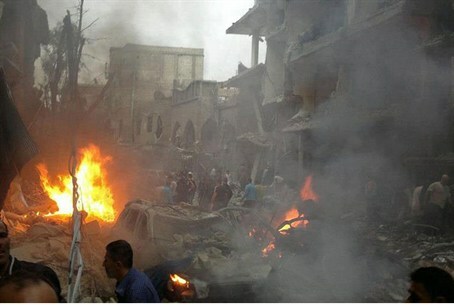 Al-Jazeera and other outlets also report that at least one more person was killed in the blast. Two of the bombs were planted outside the university; a third one exploded shortly afterward in the area and a fourth was diffused, according to Ahram Online. Egyptian officials said they were crudely made. No terrorist organization has yet claimed responsibility for the attack, but local media is pointing fingers at Muslim Brotherhood-backed Isalmist groups as the likely culprit. Egyptian Prime Minister Ibrahim Mahlab has called for emergency meetings with senior ministers in the wake of the attacks. Meanwhile, students expressed fear at the growing unrest in Egypt, which has now landed a little too close to home. "We expect trouble for the long term," Mohamed Abdel Aziz, a student, told Guardian reporters outside Cairo University after the explosions. "How can the police protect us when they can't even protect themselves? It is not possible." More than 1,400 people have died in street clashes since the ouster of Muslim Brotherhood leader Mohammed Morsi, and thousands have been imprisoned. The Muslim Brotherhood has been outlawed and has been designated as a terrorist organization by the army-led government. In addition, hundreds of Islamists have been placed on trial and some already given death sentences, a move which was criticized by the international community.